As those of you that use Linux Mint 10 with Gnome and the default GDM are aware, the login screen is just plain out ugly. Since going full time Linux Mint 10 on my main desktop a couple of months ago, I have been on a mission to change that. 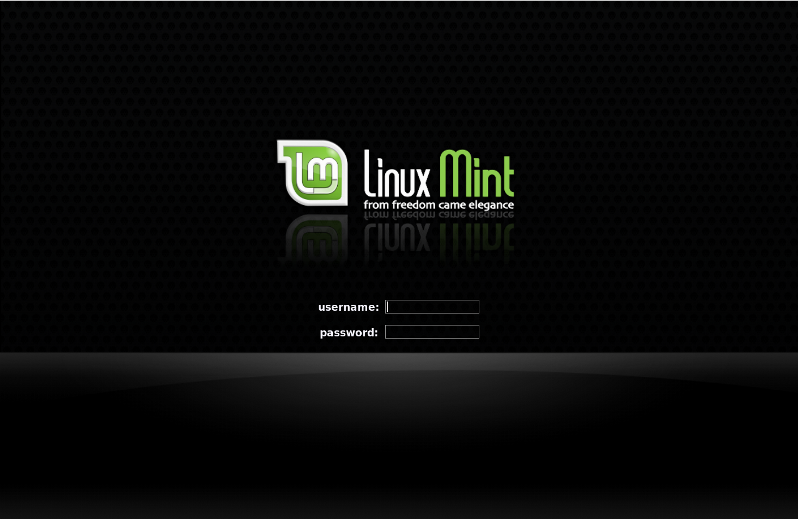 After searching everywhere and posting on the Linux Mint forum, the experts had made me aware that we are pretty much stuck with this bland login screen. Well, finally someone came along on the forum and pointed me to SLiM – Simple Login Manager. The link he pointed me to that gave a step-by-step guide to setting it up was over at Ubuntuguide.net. 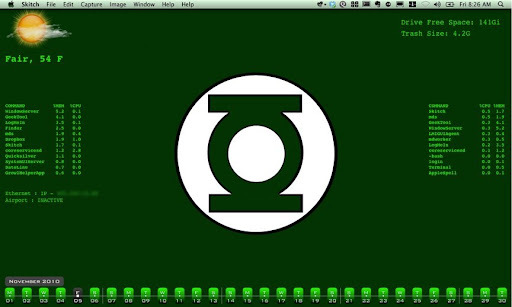 After installing it and testing it on a Linux Mint 10 virtual machine in VirtualBox, I liked what I saw. In fact I liked it so much I decided to try to create my own SLiM theme. I took elements from this GDM splash login that, apparently, only works on Mint prior to version 10 and this is what I came up with. If you are interested in downloading this theme and using it, you can get it from here. 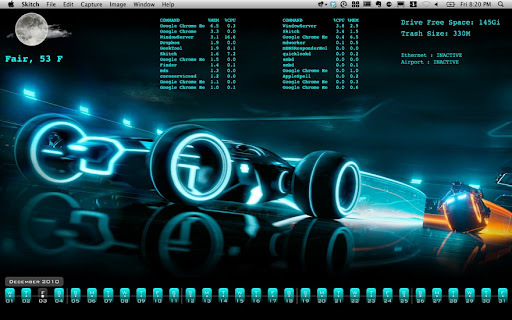 So, if you are using my theme those tips may come in handy if you need to reboot or shutdown for whatever reason. You’ll need to provide the root password for those steps to work. Please note (as per comments on the Ubuntuguide.net post) that there have been some people who have had issues with SLiM, so use it at your own risk. 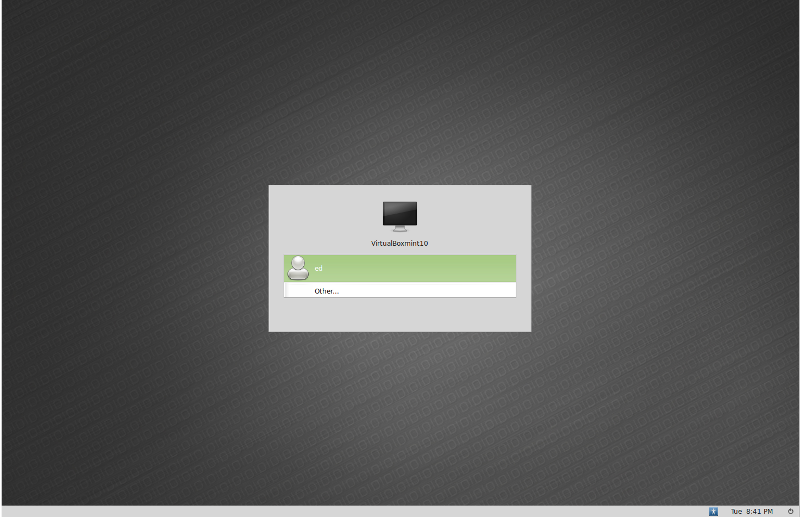 Also note that I have also tested SLiM in Linux Mint 11 virtual machine and it works, with some minor issues. The minor issue I have found, so far, is that once you log into your session, in order to shutdown or reboot you will have to send that through the terminal as the option is grayed out when you select Quit in the menu. I haven’t found a fix for this yet but I am still searching.